McDonald’s Dollar Menu has been nothing short of a monumental success for the fast food chain. Or has it? 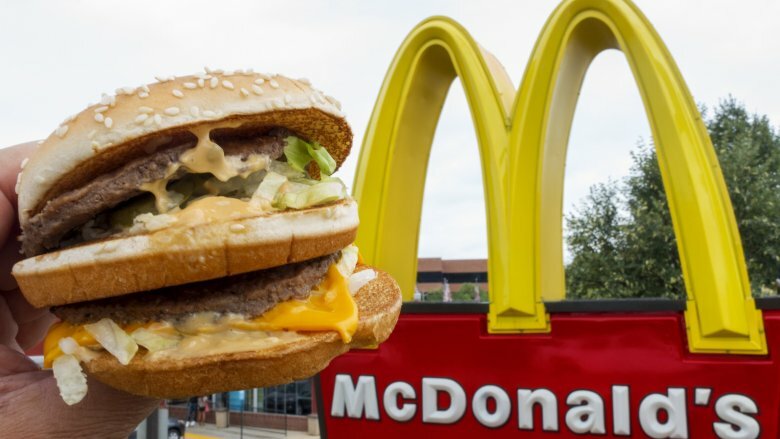 The Dollar Menu has been around since 2002, and when it was unrolled the Golden Arches saw a surge in visitors who were eager to scoop up deals like sundaes, fries, and cheeseburgers for super affordable prices. Those dollar savings weren’t necessarily a big hit with the franchisees, however, who felt that they were sacrificing profits for more foot traffic. Naturally, the Dollar Menu had to change and it’s been somewhat of a rocky road for the value-priced menu over the last several years. There have been similar menus aimed at weaning folks off the Dollar Menu, competitor price wars, and more than a few price hikes to that original $1 price. Here’s the real history of this popular fast food marketing campaign and how McDonald’s has changed it over the years. McDonald’s iconic Dollar Menu may be the model that other fast food restaurants look to these days, but it didn’t start out that way. It didn’t even used to be called the Dollar Menu, and McDonald’s wasn’t the first fast food franchise to lay the groundwork for the dollar menu concept. The Dollar Menu that people know and love today didn’t come along until 2002, however, its earliest beginnings can be traced back to 1989. In 1989, McDonald’s began slowly launching its “Value” campaign with select items at lower permanent price points. Surprisingly, they weren’t the first to do this and were actually following the lead of competitors like Taco Bell and Wendy’s, who had already lowered prices on select items with value menus of their own. The move by the fast food industry was in response to a nationwide recession in the U.S. that saw McDonald’s struggling into the ’90s. Sales for the Golden Arches slumped again at the dawn of the new millennium with stocks falling 39 percent over the course of a year. In an effort to reverse the trend, McDonald’s attempted to boost sales be revisiting the “permanent discount” strategy, this time offering select menu items for $1. Thus, the Dollar Menu was born. McDonald’s has had critics of its value-priced items in its inner circle since the very beginning. While customers of course love being able to get a burger for a buck, franchisees see it as a way to simply lose money. Sure, it drives traffic, but after a franchise owner factors in food, paper, labor, rent, and the four percent service fee they pay to McDonald’s, it’s pretty hard to make any money on a $1 double cheeseburger. McDonald’s tweaked the Dollar Menu to become the “Dollar Menu and More,” in 2013, bumping the cost of items like a McChicken to $1.69 and the once ridiculously cheap $1 double cheeseburger to $2.19. An increase by more than double is no small change and Ron Paul, president of restaurant research firm Technomic, warned them of the pitfalls at the time. Paul called the move a “mistake” and said that a Dollar Menu “should mean dollar items.” Yup, makes sense to us. In order to ease some of the financial blow that McDonald’s was feeling from its altered Dollar Menu and More, it announced the McPick 2 menu in late 2015. The fast food giant undoubtedly hoped to capitalize on the success of its Dollar Menu glory days by allowing customers to choose a two for $2 pick of: a McDouble, a McChicken, small fries, and mozzarella sticks. Franchisees voted to approve the McPick 2 menu selection and it was meant to fill the void that CEO Steve Easterbrook said the restaurant was lacking in a “equivalent form of value” to the original Dollar Menu. It’s tough to make $2 as appealing as $1 to fast food customers though, and McPick 2 didn’t stand a McChance. 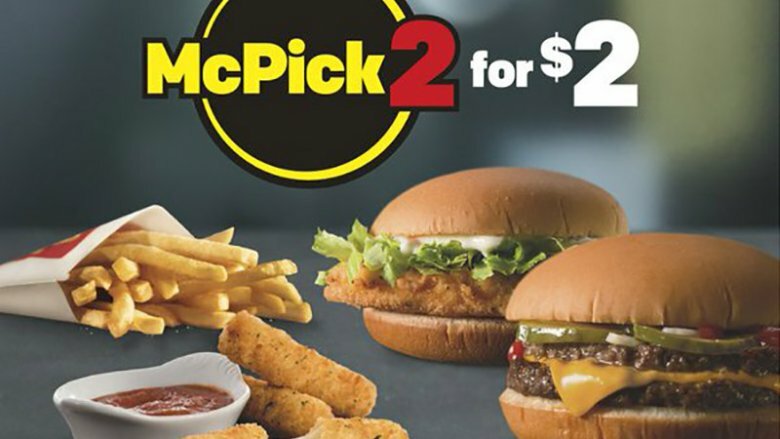 The McPick 2 for $2 was all but dead before spring 2016 as McDonald’s altered the menu to McPick 2 — for $5. That’s right, they went from $2 to $5 in just a few months. Yes, items like the Big Mac, 10-piece McNugget, a Filet-O-Fish, and Quarter Pounder burger were added, but at this point there wasn’t much to distinguish the newer McPick 2 from the normal menu. If fast food history tells us anything, it’s that the second you get comfortable, your competitor will move in for the kill. In late 2017, McDonald’s announced that it was unveiling a 3.0 version the Dollar Menu after finally retiring the McPick 2 menu. In the new version, there were still menu items for $1, but there were also items for $2 and $3 — and it seemed to mirror their Dollar Menu and More concept. McDonald’s competition quickly noticed the lack of a genuine dollar menu and Taco Bell even called them out on it by releasing their own “(Not) New $1 Menu” press release. The Bell made sure to point out that it had 20 items for $1 that fans had “embraced for years” and “no mental math” was necessary, $1=$1. Touché, Taco Bell! Even with its not-really-a-dollar Dollar Menu, market analysts predicted a possible two percent boost in sales for McDonald’s that would be felt especially hard by Sonic, Wendy’s, Jack in the Box, and Burger King. 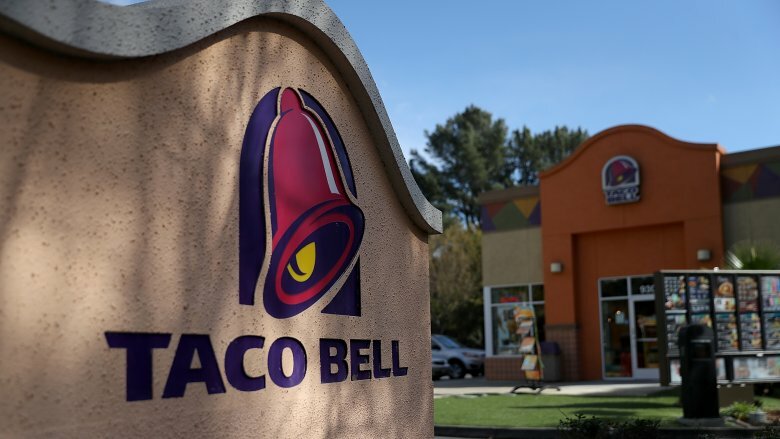 “It’s going to be more competitive, no doubt “Taco Bell CEO Brian Niccol said. The takeaway here is that when McDonald’s does anything, every other fast food chain takes notice. Perhaps the most head-turning addition to McDonald’s sort-of-but-not-totally Dollar Menu was the addition of their iconic Happy Meal. 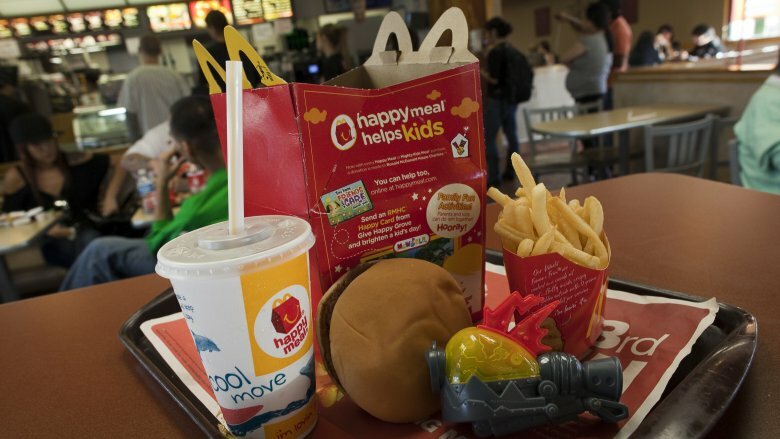 That’s right, kids, McDonald’s made Happy Meals more accessible than ever by selling them for just $3. You didn’t really expect them to be only $1, did you? Now that wasn’t likely a huge stretch from what you were paying before — they were going for $3.50 to $4.20 in California in 2017 — but it’s still pretty good. Considering that in 2016 McDonald’s was selling 250 of them every three seconds just in the United States and pulling in around $10 million from them everyday, it was still a pretty big move for the Golden Arches. They of course took a price loss per-unit, but they likely sold a lot more at the lower cost too. The Dollar Menu seems to be in constant flux, however, and in October 2018 McDonald’s pulled the Happy Meal from the Dollar Menu at most U.S. locations and raised the price by 25 percent. That said, if you really want a Happy Meal that’s closer to $1 than $3, well, you’ll have to travel to India where they’re selling for around $1.59. Don’t bother holding your breath, you’re probably never going to see the Big Mac as part of the Dollar Menu — at least not for only $1. 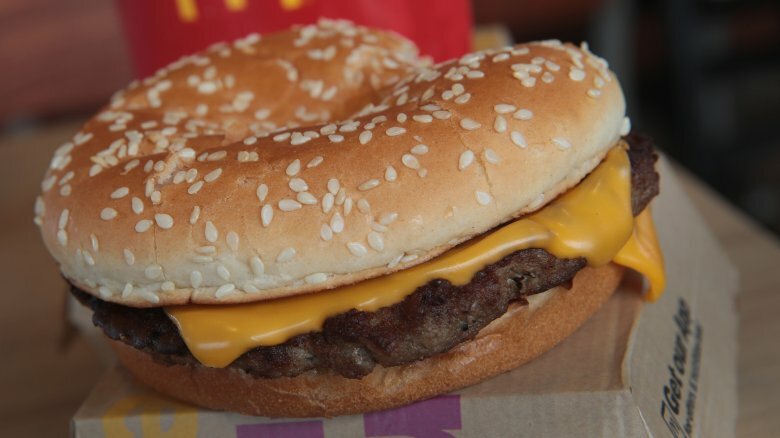 First off, the Big Mac has been slipping in popularity. McDonald’s tried to boost interest in the Big Mac in 2016 by offering Sriracha sauce in place of its “special sauce,” but that only yielded lukewarm results. Second, people just aren’t gobbling up Big Macs with the same appetite that they once had — especially young people. The internet loves writing about things millennials aren’t into and well, the Big Mac happens to be one of those things. Only one in five millennials has reportedly ever eaten a Big Mac and with this coveted group of consumers opting for more fast casual, it’s a safe bet they won’t be jumping on the Big Mac train anytime soon. A Big Mac these days will set you back around $4 and the last time it was even available for a dollar was in the 1970s. Hey, if a double cheeseburger for a $1 was too cheap for McDonald’s to sell, they’re sure as heck not about to start selling Big Macs for a buck. Do we need to even pretend like you don’t know what McDonald’s most popular item is? It’s the fries, duh! 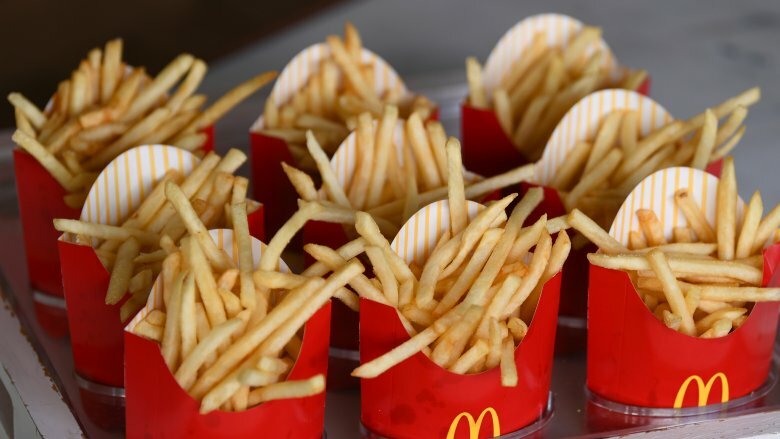 It’s always been the fries and unless McDonald’s starts selling pot-brownies it always will be the fries. If you want to see just how popular the fries are Every Second counts how many fries are sold every second and it’s pretty mind boggling. The company buys more than 3.4 billion pounds of potatoes every year, yet this super popular menu item isn’t on the most recent version of the Dollar Menu. 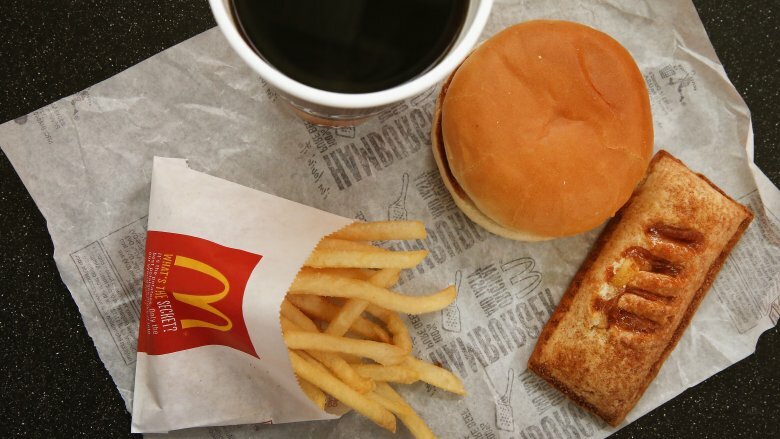 Commercials for the Dollar Menu seem to show that fries were part of it back in 2002 — aka the good ol’ days — but they’ve been absent from it since 2012. Alright, technically you can still get fries off the menu if you order the $3 Happy Meal, but you’re probably better off holding onto your dignity and coughing up a buck and some change for a small fry.